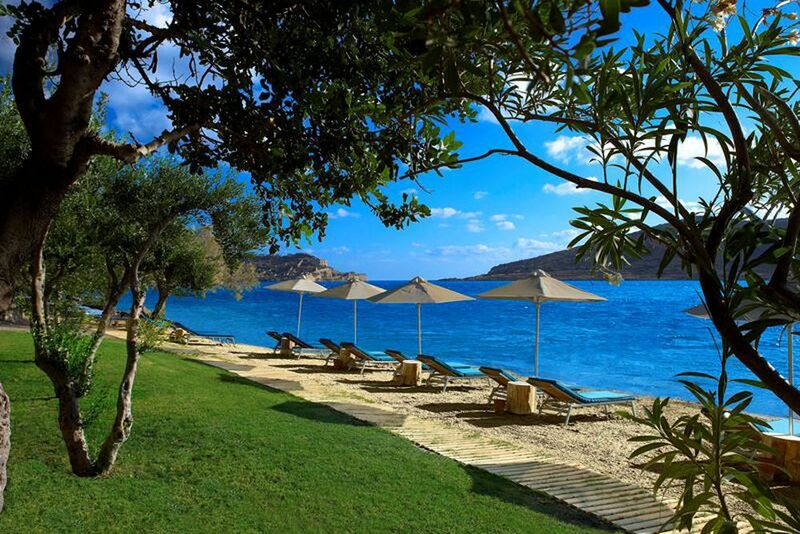 The hotel's beach invites you to rest and relax during the day. 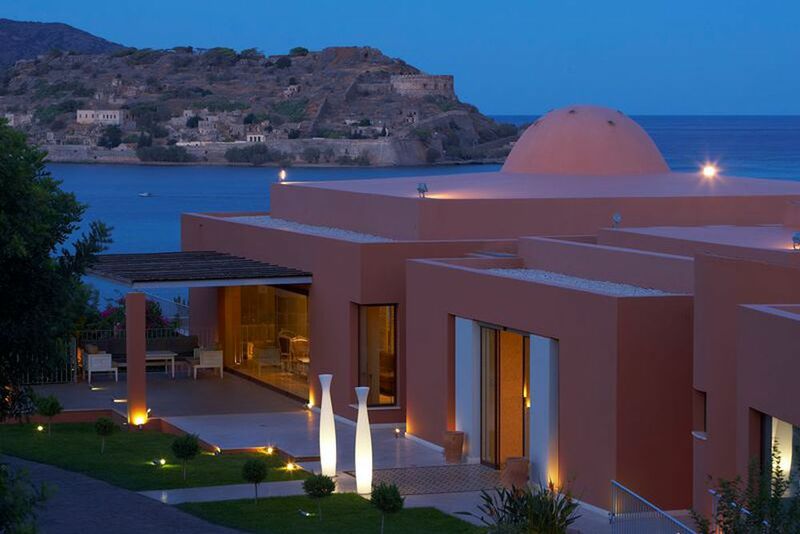 The Domes of Elounda exudes a very special atmosphere in the evening. Both Sun and shade can be easily enjoyed thanks to the sunbeds. The Grand Dome Bar serves refreshing drinks during the day. You want to have a light lunch? 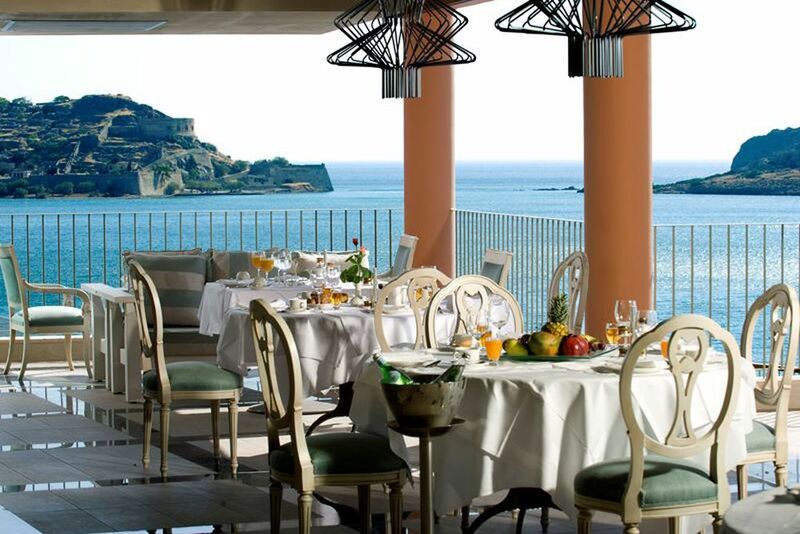 Then enjoy it in the restaurant with breathtaking views. 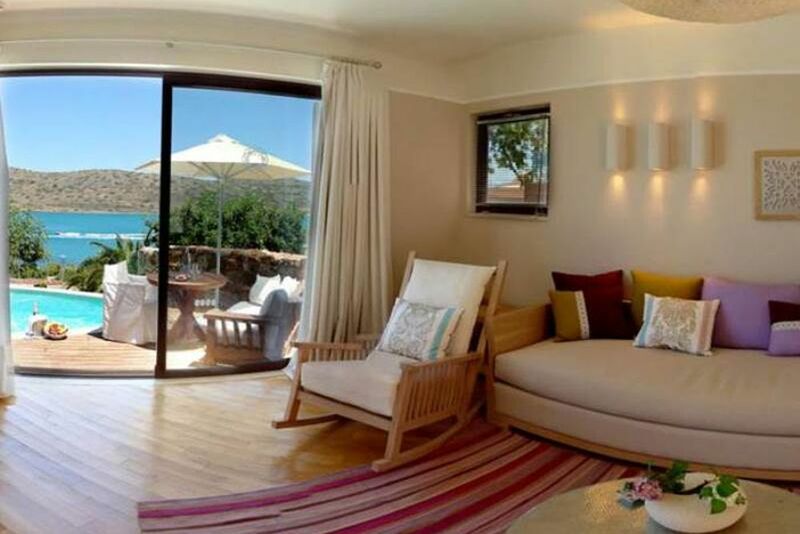 The Open Plan Suite is open plan and boats bright décor for a fun, relaxing and comfortable stay. 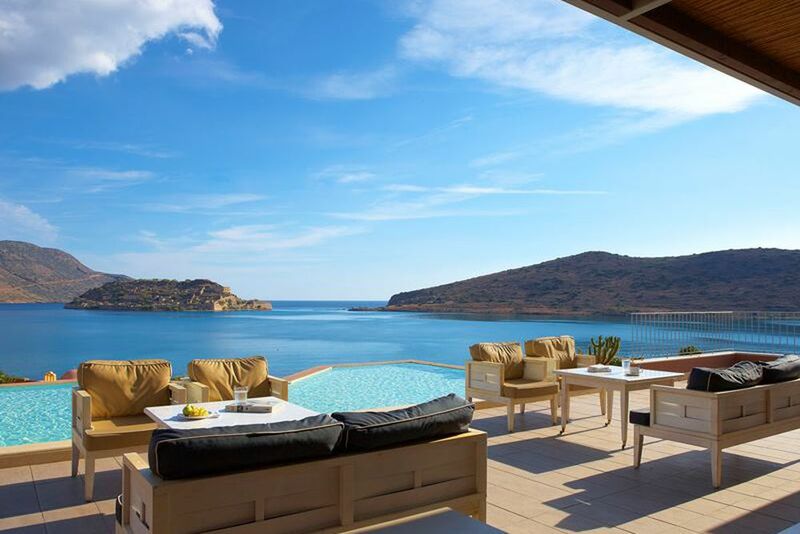 The living area of Villa Elisso offers you an unforgettable view. Here you can spend relaxing afternoons. The Family Suite has a large window front with beautiful views. You can cool off and relax at the Premium Suite's pool. 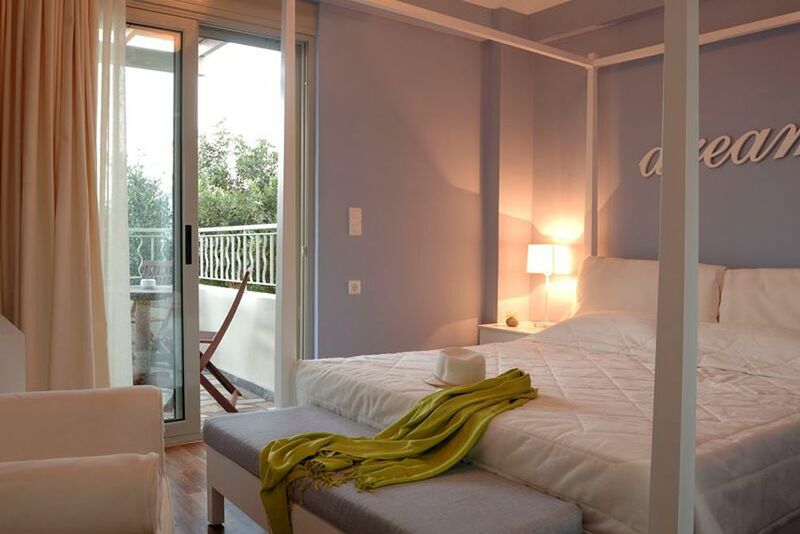 Loving decor and small details make the bedrooms of the residence very comfortable. 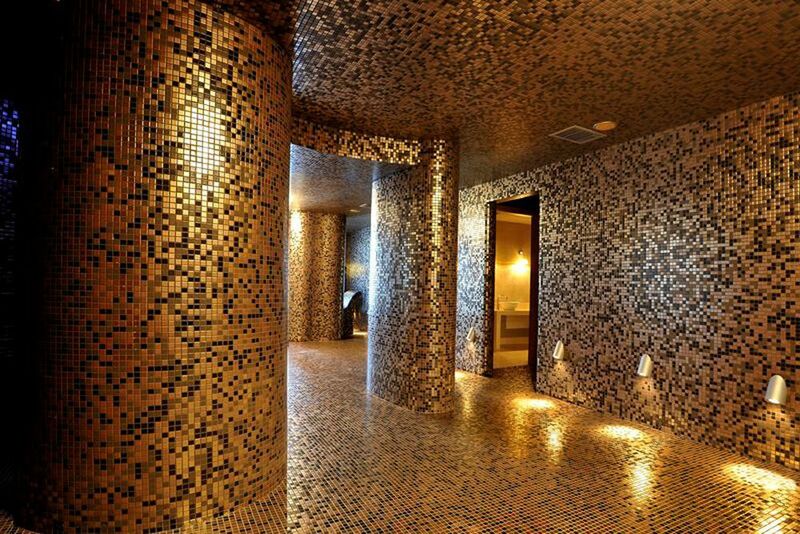 Elegant design in the Domes Spa. Who doesn't want to just relax with such a view? 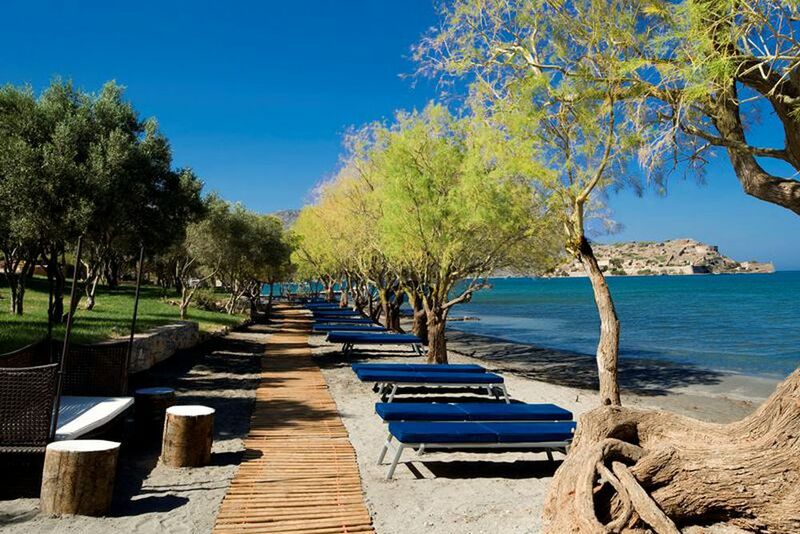 Go back in time and stay at the charming luxury hotel, Domes of Elounda, located just steps from the crystal clear waters with a wonderful view of the historic island of Spinalonga. Built with history and tradition in mind, the resort is family friendly and environmentally sustainable. 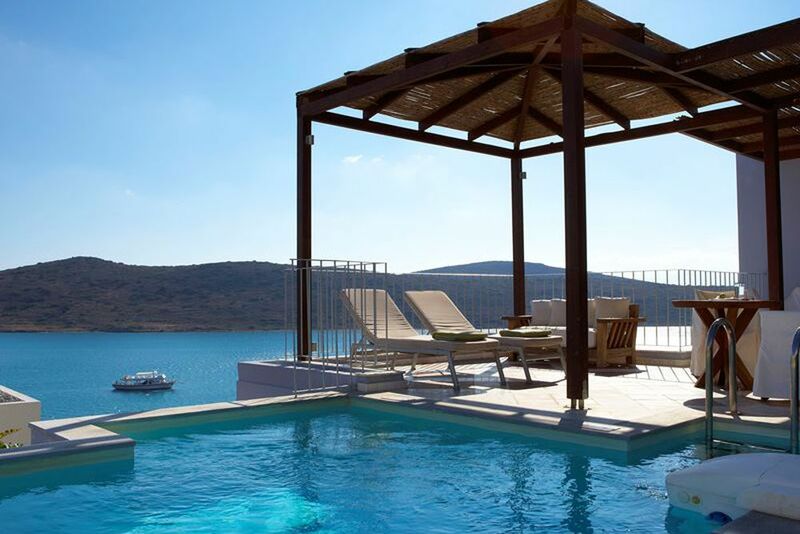 Exit the world and enter your dream land in the idyllic town of Elounda, where you will find the ideal hideaway for your next holiday. The villas, residences and suites are very tastefully decorated with beautiful accessories, paying close attention to detail. Take a relaxing swim in the refreshing sea, or soak up the sun on the natural narrow beach located just steps from the resort. If you are more of a land adventurer, go back in time by walking around remains of the Minoan Civilization. 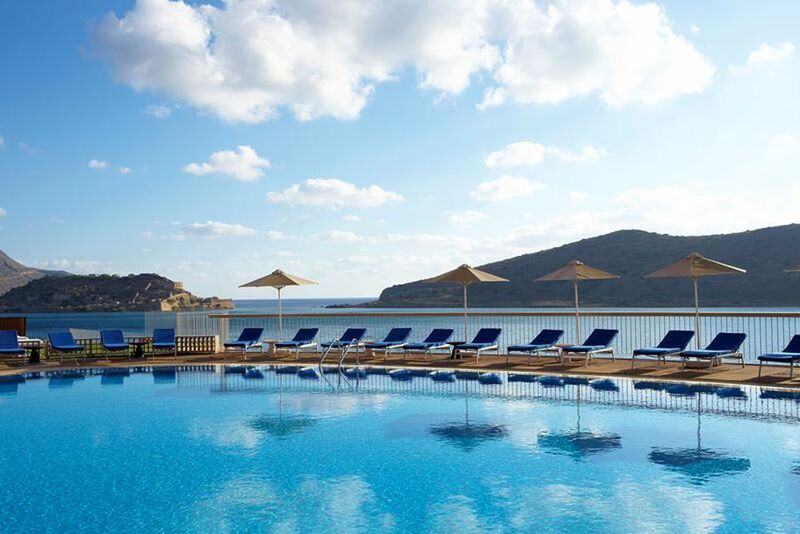 This new world of luxury even offers a kids’ club when the parents wish to unwind at the seawater pool. The kids’ club offers a variety of entertainment for children between 4 and 12 years old. 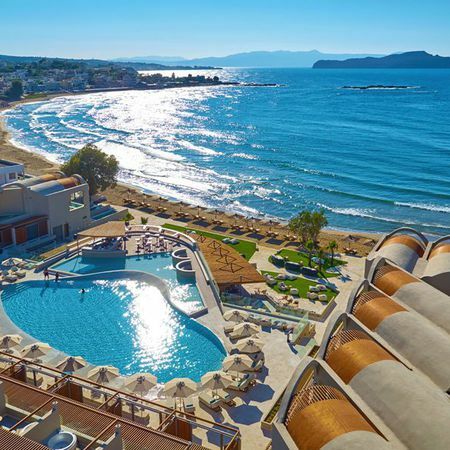 The hotel is approximately 85 kilometers from Heraklion airport, which can be reached by car or hotel transfer. 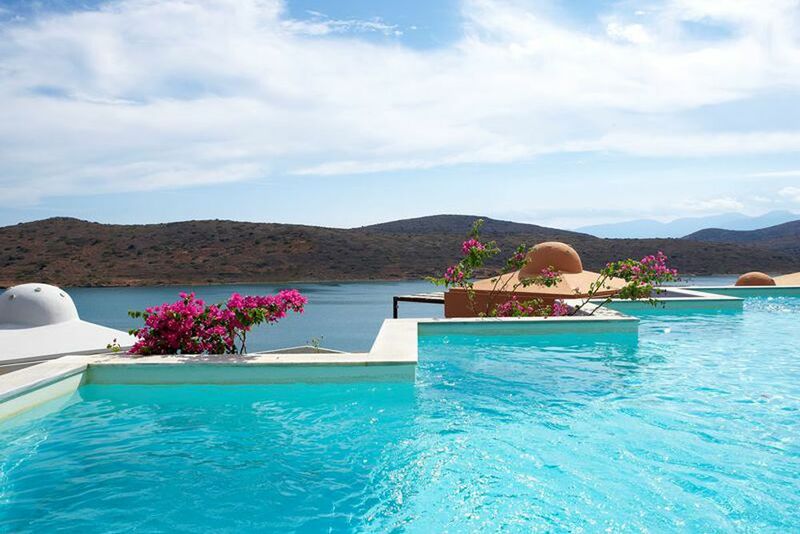 Spoil your senses at The Domes of Elounda and indulge in the variety of tastes, perfect atmosphere and delectable culinary delights. The Topos 1910 serves fresh fish and seafood on the beach. The gourmet restaurant Anthos specializes in Greek cuisine. Breakfast and half board dinner are available at Thólos, integrating Greek and multicultural flavors to start or end your day. The various bars of the hotel serve not only first-class wines but also refreshing long drinks and sparkling cocktails to accompany the beautiful seascape views. The 80 suites, 8 private residences, 4 Ultraluxe Villas and 28 luxurious residences are generously sized and offer plenty of space to relax. Large windows, balconies and terraces provide plenty of light and a feel-good atmosphere. 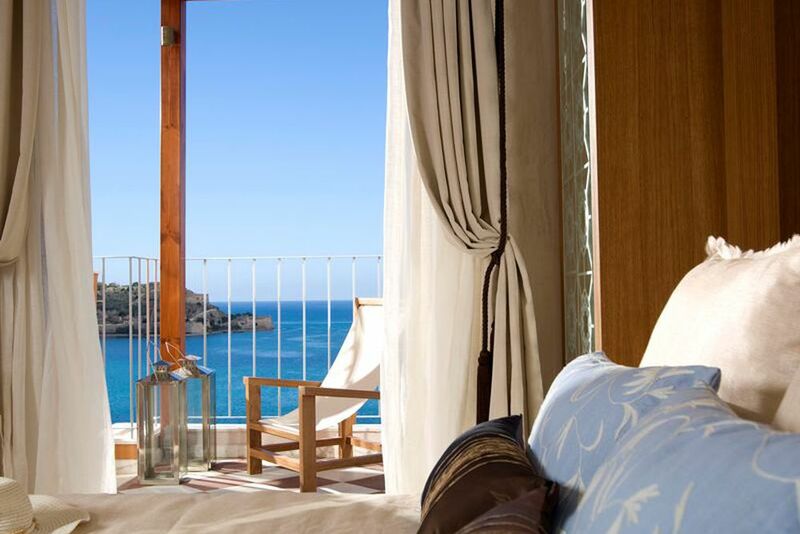 Many of the accommodations have a fantastic view of the sea. Open Plan Suite, Sea View with Outdoor Jacuzzi—About 55 square meters, this spacious and open-plan suite comes with its own private outdoor hot tub. Amenities include LCD TV with satellite channels, air conditioning, heating, telephone, bathrobe, slippers, hairdryer, safe, DVD/CD player, docking station for iPod and iPad. 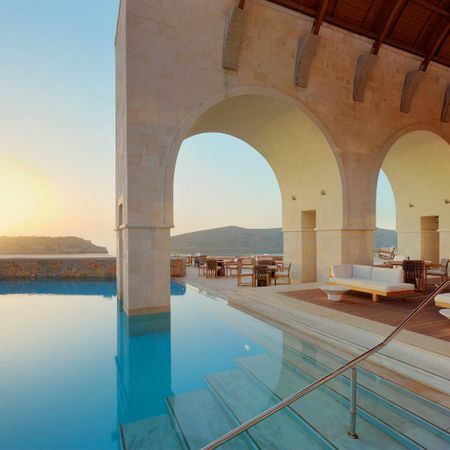 The 12-15 square meter terrace overlooks the aquamarine sea for impeccable views. Premium 1 Bedroom Suite with Outdoor Jacuzzi or Pool—About 85 square meters, this suite includes a separate living and sleeping area, bathroom with rain shower and bath, and an outdoor Jacuzzi or pool. Choose either an unforgettable seascape view or the flourishing garden view. Maximum of 2 adults and one child under 12 years old. Family Suite with Outdoor Jacuzzi or Pool—90 square meters, the suite has a separate living room and bedroom, bathroom with rain shower and bath, and balcony or terrace with Jacuzzi or pool. Maximum of 2 adults and 2 children up to 12 years old, or 3 adults and one child under 12 years old. Private Residence Two Bedroom Villa—100-120 square meters, the two-story villa includes two bedrooms and a living room with fireplace. 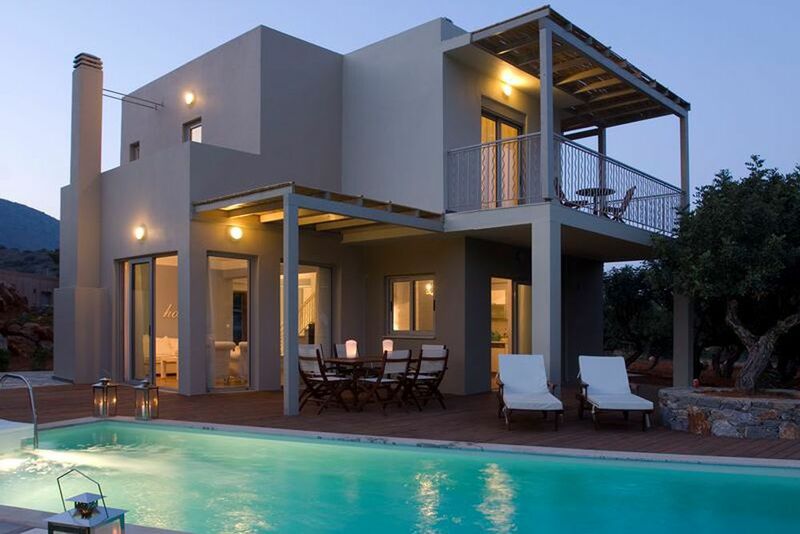 The villa also has a kitchen, dining area, toilet with shower, master bedroom’s own bathroom, and a private pool. Maximum of 4 adults or 2 adults and 2 children. More room types and villas available upon request. Bring your spirit and soul back into alignment at Domes Spa, where tranquility and relaxation are found. The spa features a heated saltwater pool, sauna, hammam, Jacuzzi, spa showers, laconium, tepidarium and treatment rooms for relaxing massages and treatments. In the water sports center, numerous activities such as canoeing, water skiing or diving are offered.